A stress test helps evaluate how well your heart works when it’s experiencing a heavy workload. 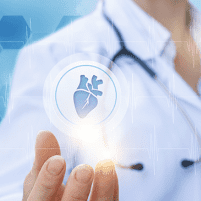 The doctors at Healing Hearts Clinic in Conroe, The Woodlands, and Huntsville, Texas, may recommend such a test to inform their cardiac diagnosis and treatment plans for you. To learn more about stress testing, call the office or book an appointment using the online booking agent. You may have heard of a stress test called a treadmill or exercise test. While on a treadmill, you’re hooked up to an electrocardiograph machine that monitors your heart rate and rhythms. The electrocardiograph machine also takes images of your heart during the test. The belt of the treadmill is set to a slight incline and you start at a slow pace. Gradually, the motor increases the speed to make you move faster. The administrator of the test has you breathe into a tube and, once the treadmill comes to a stop, you lie down to have your heart and blood pressure checked. What is measured during a stress test? When you breathe into the tube, it allows your cardiologist to determine the quality of your breathing and measure the gases that you breathe out. What is the purpose of a stress test? An imaging stress test that involves an electrocardiograph machine shows if blood is flowing well to the heart muscle and reveals any regions of your heart that aren’t working well. The image can also reveal any dead heart tissue and areas that aren’t getting enough blood. You may have dead heart tissue due to a previous heart attack. The stress test can also reveal if you need other tests to further diagnose your condition. What should I do before a stress test? The doctors at Healing Hearts Clinic let you know if you can take your prescriptions, over-the-counter products, and supplements prior to the test. It’s best that you avoid eating or drinking too much prior to the test because you can exercise longer and more comfortably on a relatively empty stomach. Avoid smoking, too. Wear loose-fitting, comfortable clothes that allow you to move, as well as shoes appropriate for treadmill walking. Your monitored the test and medical attention is available should anything unusual happen. Call Healing Hearts Clinic or book an appointment online to learn more about stress tests and what to expect.